Emergency Dentists USA is committed to being able to provide you with a list of the best dentists in Galveston. We know that tooth pain can cause you to want to rip your hair out and it can drive you nuts, especially when you are supposed to be enjoying your weekend. After all, you only get two days to yourself throughout the week. Over-the-counter medications can alleviate your pain temporarily, but they will not take it away. In fact, the only way to completely remove the pain is to have the correct procedure performed on your tooth. Dental pain can ruin your quality of life and this is not something that is okay with local Galveston emergency dentists. Before you try to deal with the pain, take some time and scroll through the list of emergency dentists in Galveston below. You will be able to identify after hour clinics, 24-hour clinics, and walk-in offices. Once you find one you like, give them a call to schedule immediate care for your problem tooth. Looking for an emergency dentist in Galveston does not have to be difficult and you can quickly identify which ones are available below. Many patients who attempt to look for a dental office to visit will find that they are only open until about 5:00 pm Monday through Friday. This means, if a dental emergency arises, there is nowhere for you to turn and you will be left in pain all weekend. Talk about inconvenient. There are emergency dental offices in Galveston that are ready to see you and accommodate your dental pain quickly. These dentists work all hours to meet your needs and they have the tools and equipment on hand to ensure your pain ends right then and there. Galveston offers walk-in dental clinics that allow you to come in to be seen whenever you are available. You do not need an appointment and these offices are generally open a bit later than traditional options and they may offer weekend hours as well. Patients who visit these offices have minor problems that need to be corrected. You will also find after hour dental clinics in Galveston and many are open until 6:00 pm. Some even will extend their hours to make sure you can be seen. These offices are ideal for patients who have a bit of an urgent dental matter, but it is not an emergency. Mouth, tooth, and jaw pain can have you lying in bed crying like a baby, especially when you have tried all you can to eliminate it. Tooth pain is one of the worst pains you can experience because it is almost impossible to get rid of until you have the needed procedure performed. Fortunately, we have created a list of emergency dentists in Galveston for you to look at. You can choose the office you like best and then call them to schedule an appointment to receive immediate dental care in Galveston. So many times we forget that help can be just around the corner if we are dealing with what seems to be an endless ache of a tooth or what may appear to be an infected gum. There are a host of things that can happen and when your regular family dentist is unavailable, you may feel vulnerable. A sporting injury to your mouth, a broken crown or filling, or cracked dentures….any of these these can be motivators to seek immediate assistance. We hope that you find the resources we have provided helpful. DescriptionMany vacationers flood Galveston during the summer months because it is so close to the Gulf of Mexico. If a sudden dental emergency plauges you during your trip, don’t hesitate to pick up the phone and get connected with an emergency dentist as soon as possible. A walk in dentist in Galveston or League City, TX may be just the right medicine you need on a day when the pain has reached an unbearable threshold. Dr. Carroll has been treating patients in the general Galveston and Clear Lake area since 1984 and is able to provide general, cosmetic, implant, and sedation dentistry. With four dentists, this clinic is willing to accommodate its patients with extended hours and Saturday appointments. They are currently advertising 20% off of most procedures and accepts over 800 insurance plans, inclusive of payment schedules. The staff is dedicated to make your stay as pleasant and affordable as possible. Credit cards are accepted and they also gladly accept CareCredit which is a dental charge card. Description: Mainland Dental Center is closed during weekends, but is a great clinic to find any dental services you are in need of during the week. They are open until 6PM most weekdays, and this is a great location to get root canal therapy issues, cracked or broken teeth, and potentially abscessed teeth taken care of. 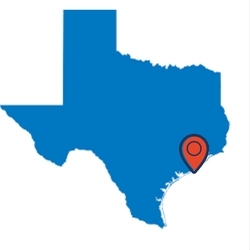 Located right on Palmer Highway in Texas City, the staff here will be on hand whenever you need them to make sure you are in the best of dental care’s hands. Shoreline Dentistry staff are going to make dentistry as comfortable as possible for you and your family. One of the first prerequisites that a customer looking for emergency dentistry services is that they can provide you the latest techniques and technology for their care. They are the perfect team, and best combined together every day to make sure every single patient’s emergency needs are met quickly and to the beset of their ability. Description: Dr. Glenn’s office is one that is open during the weekdays until 6PM, located on Broadway right in Galveston. Here you can get treatment for problems related to an abscess, cracked or broken teeth, or any other dental issues that sneak up on you quickly. Don’t spend time dealing with pain that is overtaking you, and get to a local clinic that will know exactly how to remedy your dental pain. Description: Come visit the friendly and competent staff at Affordable Dental when you have needs ranging from a potential abscess, broken and cracked teeth, or anything else that you need immediate help with. You will always be treated as if you are the day’s only patient, and with a very high level of care and compassion. Visiting an emergency dentist in Galveston is just like visiting your general dentist. You will find that the procedures offered are the same and the process to be seen is quite similar, other than the times that you receive care. For example, you may see your general dentist at 10:00 am and an emergency dentist in Galveston at 2:00 am. When you first call into the office to schedule the appointment, you should inquire about the cost of the procedure so that you can be prepared. If you do not know what procedure needs to be performed, ask for some generalized prices based on common procedures. If you have dental insurance, now would be a good time to let the office know so they can properly bill you and the insurance company. You will likely need to pay for your appointment before or as soon as it is completed. If you have never been to this Galveston dentist before, you will need to make sure that you arrive early to fill out some basic paperwork that inquires about your medical and dental health. If you have any type of allergies, you should inform the dental office about them so that they can accommodate your needs. Also, if you suffer from dental anxiety, you should inquire about whether dental sedation is available to you. If you think that you have a dental emergency, it is time for you to receive emergency dental care in Galveston and not delay it any longer. 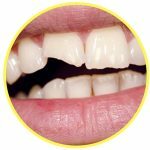 If you delay care, you may wind up with a serious dental complication that could affect your other teeth and leave you in immense pain. There are several dental emergencies that you may experience and some of them happen quickly and some of them may take time to form, such as tooth decay. It is vital that you do not simply accept the pain, as this can hurt you more in the long run. Dental emergencies should be evaluated by a trained professional in the dental field and not left alone. Infections and tooth decay can spread quickly, so you must receive treatment at the first sign of a problem. Galveston emergency dentists will work to determine the problem you are experiencing and then correct it for you. 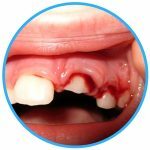 Reading any of the advice provided on emergencydentistsusa.com is for informational purposes only and should never be used to replace advice from a trained medical professional. If you think you are experiencing one of the dental emergencies below, you should call your local Galveston emergency dentist. Chips on the tooth can happen, especially when you bite down on a hard surface or if you chew on objects such as pencils and ice. If your tooth does chip, you should attempt to save the piece or pieces of tooth that broke off. You will need to rinse your mouth out with warm water and then apply a cold compress to the exterior of the injury site to reduce any swelling that may occur. If your tooth is chipped, it is important that you call your local Galveston emergency dentist to receive the proper care you need for your tooth. If your tooth has been knocked out, you will need to first recover the tooth. You should touch the crown of the tooth only and avoid touching the roots. If the tooth is dirty, you can rinse it off gently, but do not scrub it and try to keep all the tissues intact. If you can, place the tooth back into the socket. Do not force it in. If it will not go back in the socket, place the tooth in a container and cover the tooth with milk. Call your local Galveston emergency dentist immediately. Patients who receive care within the first hour of their tooth being knocked out have the best chance of saving it. Tooth trauma caused by an accident can involve any type of tooth damage such as a fracture, chip, or break. In some cases, your tooth may be completely knocked out. It is important that you take the proper steps to ensure your dental health when an accident does happen. You should rinse your mouth out with lukewarm water and take an over-the-counter pain reliever if you are in pain. Apply a cold compress to the exterior of your cheek where the trauma occurred and then call a local Galveston emergency dentist immediately to receive the care you need. If you have been told that you need to have an emergency tooth extraction performed, you may be wondering why. Tooth extractions are usually the last option on the table for dentists and they are recommended when other procedures will not work or when the tooth is destroyed due to a break or decay. If your Galveston emergency dentist recommends a tooth extraction, you should have it performed quickly to avoid spread of the infection or decay. Patients who experience a dental emergency will often head to their local Galveston emergency room because they think this is where they need to be, but it is not. The ER will not turn you away, but it is not the place where you can have a dental procedure performed. In fact, the ER doctors will only be able to look over your mouth and tooth and then prescribe you medication to alleviate the pain you feel until you can get to your local dentist. You would be better served at a local Galveston emergency dentist office. These dentists are available around the clock to provide you with care and they will perform procedures on your teeth to eliminate the pain you experience. There are some instances when you should visit the ER, even if your teeth are involved in the emergency and those times include when you have been involved in an accident, suffered trauma, or you have hit your head. If you suspect that you may have a dental emergency, but you cannot find a local 24-hour emergency dentist in Galveston, you should head to your local emergency room to receive the care you need. The ER will not be able to provide you with dental procedures on site, but they can look over your mouth and prescribe medication to hold you over and alleviate pain until you can see your dentist. Tooth pain can range from a slight twinge to a full out severe pain attack and the type that you experience will depend on what condition you are suffering from. For example, severe dental decay will hurt worse than minor dental decay. Delayed care can lead to serious complications, so it is important that you receive the care you need, when you need it. Emergency Dentists USA is a portal that is designed to provide you with dental information only and the information found on this site should not be used to replace that of a medical professional. If you cannot reach an emergency dentist, you should call 911. We do recommend that you verify licenses and credentials of any new dentist you plan to visit. To do this, you can visit the local Texas dental society or you can check out the Texas State Board of Dental Examiners or visit the American Dental Association.